HIGH AGENCY - Arguably the most important personality trait you can foster. Once you SEE it - you can never UNSEE it. Arguedbly the most important personality trait you can foster. I've thought about this concept every week for the last two years since I heard @EricRWeinstein discuss it on @tferriss' podcast. 4/ High Agency is a sense that the story given to you by other people about what you can/cannot do is just that - a story. And that you have control over the story. High Agency person looks to bend reality to their will. They either find a way, or they make a way. 5/ Low agency person acepts the story that is given to them. They outsource all of their decision making to other people. 6/ Person A is low agency. 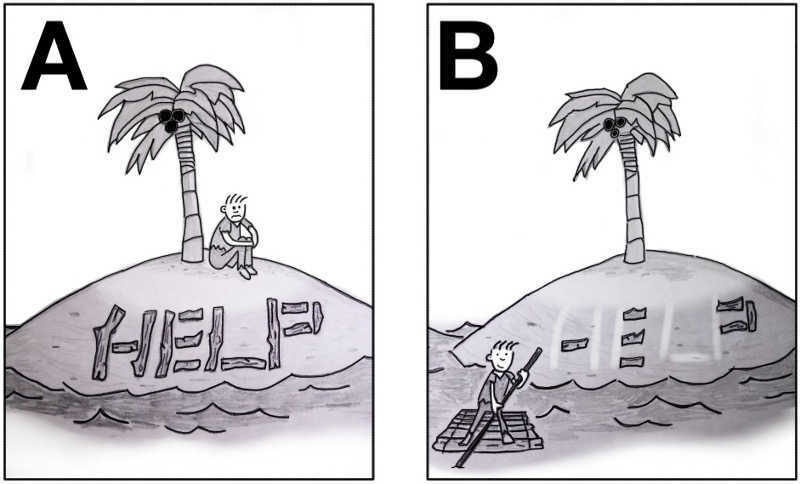 Person B is high agency. 7/ You see high agency vs low agency everywhere. He says the opposite of this is "hapless" (low agency). 8/ @rabois identifies high agency in employees through a mental model called "Barrels vs Ammunition". He wanted to get smoothies for his developers who were working late at LinkedIn. Only one high agency intern managed to get the right smoothies delivered at the right time. 9/ @JeffBezos has a framework for identifying high agency friends/romantic partners. "If you was stuck in a third world prison and had to call one person to try and bust you out of there - who would you call?" 12/ To help fund AirBnB, @bchesky & @jgebbia sold limited edition cereal boxes called Obama O’s & Captain McCain cereal during the 2008 election. They raised $40,000 - from selling cereal. Talk about questioning the story and finding a way. 13/ @peterthiel has a question to help bring out high agency thinking. "How can you achieve your 10 year goal in 6 months?" 14/ I've heard @naval & @robinhanson call this "Orthaganol Thinking"
You ask questions that look to give you a completely different angle to frame the problem through. You are thinking sideways, and you can see ridiculous ideas that the crowd missed. 15/ A journalist managed to get a shed in his garden the highest rated restaurant in London on Trip Advisor. Now that is some high agency behaviour. 16/ "Alfréd Wetzler escaped from Auschwitz through hiding in wood pile that other inmates soaked with tobacco and gasoline to fool guard dogs. 17/ "In his pockets, Wetzler carried a report on the inner workings of the death camp, including a ground plan, details of the gas chambers, and a label from a canister of Zyklon B – the gas that the Nazi's used to kill millions of inmates." 18/ He reported he saved 120,000 Hungarian Jews lives through his high agency. Now that is high agency. If in doubt, ask yourself, what would Wetzler do?